DAVID LE/Staff photo. 6/7/15. 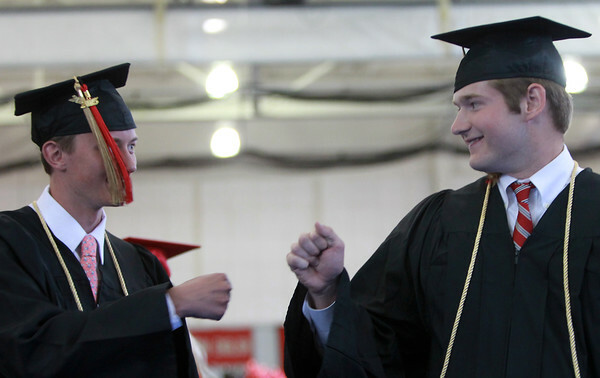 Marblehead High School graduates Griffin Butterfield, left, and Tommy Gabel exchange a fist bump as they split into different rows while walking into graduation on Sunday afternoon.